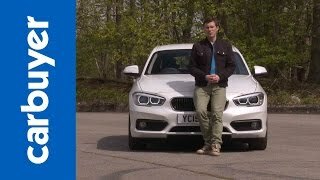 The BMW 118i 2015 Hatchback isn’t the finest designed car but walking your way through this won’t ever be a matter of regret. 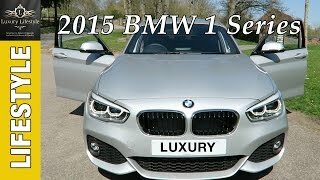 The hatchback definitely looks like a baby and you might presume it not to be spacious enough; you are heading wrong way, this model the 2015 118i feels immediately reassuringly like any other bigger BMW. Let us take a closer look to its specifications and dimensions. 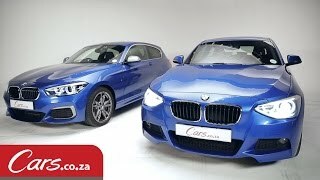 Looking at the specifications above it is proved that the BMW 1 series 5 Door 2015 118i is a daily use vehicle for those who just need a four wheel drive with comfort. Yes reason behind specially mentioning the ‘comfort’ is, no matter which make and model and of which price range you go for, buyer would readily compromise with performance and looks but for comfort it is the priority. We’d like to take you a step ahead for a more descriptive look at the Car. In the interior of BMW 5 door Hatchback 118i your first sight assuring, will stick to its driver oriented dashboards and console design. It is indeed simple but the instruments and quality switchgear will make you feel proud to own this model. The interior of BMW 1 Series 5 Door includes M-Sport package which own a beautiful leather steering wheel and ‘Dakota’ leather seats giving you the privilege to adjust them accordingly as per your driving position. Despite the inclusion of Sun Glass roof the interior is spacious and comfortable, also for the tall passengers. We believe that neither you’ll have to bend your head down nor nr will have to worry about getting collided with the roof. Yes we agree to the fact that the small 6.5 inch iDrive screen will somewhere glitch you of this being a low budget car, and if it does go for high end budget vehicle. Asking us we would say iDrive is the most loved infotainment system in market and it will please you. As for the screen you’ll get used to it. It includes more features like, ConnectedDrive telematics, audio climate control with dual temp zones, Navigation, Bluetooth and USB Integration which makes it better and yes a 12 volt socket at the rear seat to keep your phone or iPad’s battery charged while on a long drive. 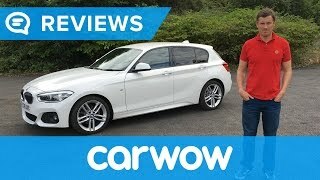 The BMW 1 Series 5 Door 118i Hatchback definitely has pleasant exterior apart from its upside down headlights, which we personally found a little wacky. The aggressive looking bumpers, side skirts and bigger 18-inch wheels make this 5 door hatchback a stylish machine. 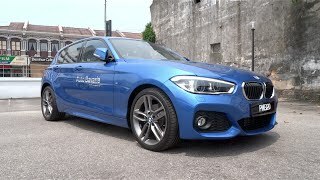 As far as performance of BMW 1 Series 118i is concerned with its 1.6 L 4 Cylinder petrol engine delivering 168 hp of power and 250 nm torque mated to 8 speed automatic transmission, you can be assured to have a sound performance. Definitely this feature does not make it invention of the era but neither the BMW intended to. Being a hatchback, it’s a daily use common man 5 door hatchback with classy features and serene looks. Signing off with the price of BMW 1 Series 118i 5 door Hatchback, it is available in between $35,610-42,350.